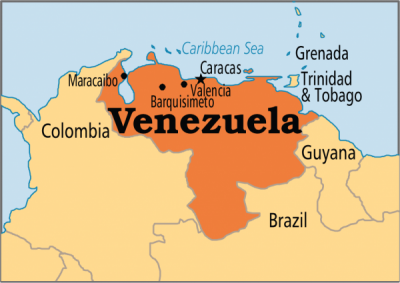 Selected Articles: US Intervention in Venezuela? On October 15, a first deadline in the roadmap for implementation of the Idlib demilitarization agreement passed. According to this agreement, militant groups had to withdraw all their heavy weaponry and equipment from the declared 15-20km deep zone and halt any actions against Syrian government forces. When Banksy’s Girl with Balloon was shredded at Sotheby’s (a sort of art styled seppuku), it was subsequently, and all too quickly, transformed into Love is in the Bin. Technicians in the room did not seem too fussed by the occurrence, and diligently went about their business of retouching the new piece for the market amidst nervous laughter and much tittering. After a string of suspicious incidents involving Russia’s venerable Soyuz rocket system, several prominent American newspapers have attempted to poison the last remaining area of significant cooperation between Russia and the United States. The US-led coalition used white phosphorus (WP) munitions while delivering air strikes against the Syrian province of Deir Ez-Zor on Oct. 13. The attack resulted in civilian casualties. Last month, WP munitions were also used by two US Air Force (USAF) F-15s in an attack on the town of Hajin in Deir-ez-Zor.